Louisiana State University Press, 9780807150221, 92pp. For sixty years Daniel Hoffman has enchanted readers with his powerful imagination, drawing on a lifetime of experiences. The poems in Next to Last Words illumined by the poet's unique vision and leavened by touches of humor give lasting pleasure. 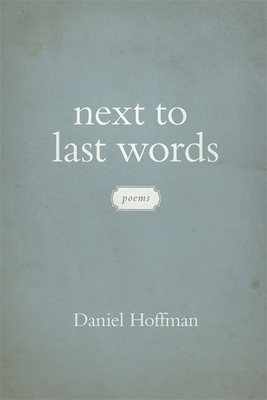 Equally skilled in formal and free verse, Hoffman explores our place in the cosmos, our kinship with nature, the violent history through which we must live, and in love and in grief the intensities of life.